The library was born in 1901, when the Municipal Library was opened for the first time in small premises of the Town Hall, although the bibliographic collection had been being formed since 1897. Closed during the Civil War, in 1953, it is temporarily placed at the Santo Tomas de Aquino boarding school. In 1960, it is transferred again to the Town Hall, where a larger room is prepared for that purpose in an end of the west side of the first floor. 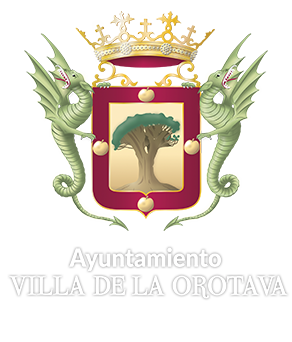 In 1978, on his death, Fernando del Hoyo y Machado (1899-1978) donated, by testament, his personal library to the town of La Orotava. This donation, together with the library of his wife Laura Salazar, forms an important collection composed of 19,824 books that will become part of the Municipal Library. In 1983 the book collection and newspaper library of Antonio de Lugo and Massieu (8,336 items) was acquired, and added to the bibliographic fund of the Municipal Library. Hence the current general collection totals 49,590 copies and the number of members exceeds 2,280. On 12th June 1985, the new headquarters of the Library were inaugurated, and it was definitively moved to the former La Orotava Casino, following an agreement with its managers, located at Tomás Pérez Street, in the historical and artistic centre of the Municipality. In terms of its premises, it counts with a direct access to the consultation room, the reading room, the children's area, the press and magazines area, and the study area. But the library also has restricted access areas such as: the general deposit, the deposit of bibliographic funds, the newspaper room and the newspaper archive. These premises allow the in room consultation of both the bibliographic collection and the newspaper archive, external book loans, free Internet connection, consultation of the old local press in digital format, photocopying service and the automated consultation of the bibliographic collections (OPAC). The centre also offers an audio-visual fund, in DVD format, composed of films, documentaries, encyclopaedias and diverse bibliographic material that is available for all users, in a similar way as the one used for book loans, so that any user can borrow the film or documentary for three days. The Library has a reproduction facility so that the audio-visual material can also be used in the centre itself. In addition, there are currently several processes in progress, among them we can find the automated cataloguing of the bibliographic collection and the manual cataloguing of the newspaper archive. The library is located at number 3 Tomás Pérez Street, 38,300, La Orotava, in Santa Cruz de Tenerife. The opening hours are from Monday to Friday from 9:00 a.m. to 9:00 p.m. And Saturdays from 9:00 a.m. to 14:00 a.m. As for the time of consultation of non-digitized old press is from Monday to Friday from 9'00 to 15'00 h.